Welcome to this month's edition of $10 at Target! 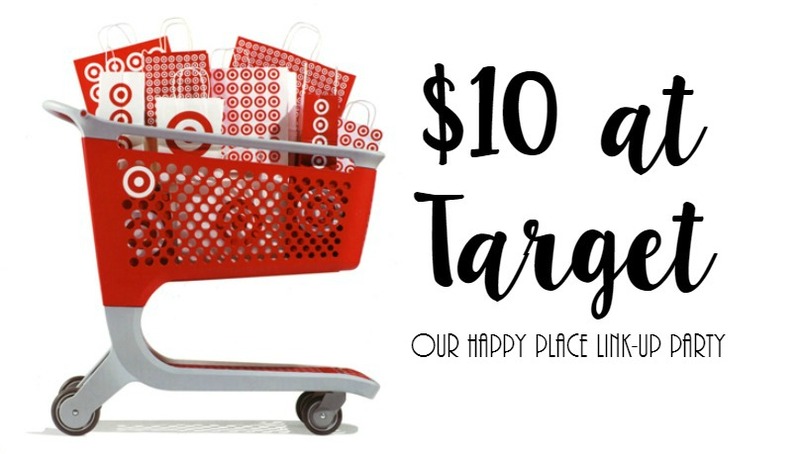 Each month I head to Target with a $10 budget and see what I can find. This month I actually had an idea of what I wanted, silly as it may be. Read on to find out! I love the Fourth of July but really lack decor. I almost got this, but I decided I may try to make something myself. Remember these from when you were a kid?! Okay, the coasters are super fun! I could eat pizza every day, so having pizza as a coaster may or may not be a good thing. These donut notes are stinking cute! Not quite dollar spot prices, though. I really should make more time for face masks. Has anyone tried these? Kind of crazy, right? It washes right out. I'm excited to see your finds! Link up below!